Since the economy dived into a rock bottom pit of recession lasting a number of years from 2007 to 2009 there has been a colossal 133,670 houses that have been built in 2013 alone. Having read various sources, it appears that the 2007-2009 recession may have been caused solely by a ‘housing bubble’, where house prices were driven up by increased demand. Following the run up of house prices in the early stages of the decade, prices of properties started to fall therefore, prohibiting various borrowers to repay any withstanding loans. The year 2012 was supposed to be a turnaround point for the housing market according to the Coalition Government after they had devised a strategically placed plan to boost the wealth within the economy intending to significantly increase confidence and encourage investment. However, reports show that this theory may be having the opposite effect by deterred spending and this was borough to light via a body of experts called ThinkTank. In 2013 a gigantic sum of 133,670 houses were built, showing that there is a monstrous 28% increase compared with figures from 2012 and rather than the new build houses being uniquely centralised in London, The National House Building Council state that the building of new homes is becoming progressively nationalised. Essential to the crisis is the ever growing number of properties, therefore to meet demand a further 250,000 are needed to be built each year, previously in 2007 there had been 200,000. 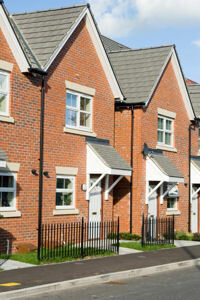 All regions with the exception of Wales saw a promising year-on-year increase in the number of properties that where being registered with the NHBC. In 2012 the figures of registered properties rose by a respectable 30% pushing it up to a worthy 117,969. Not long after, a mammoth 26,230 homes where now registered in London alone meaning a 60% rise has occurred. This is the highest recorded rise since records were established more than 26 years ago. The National House Building Council confidently stated that it was seeing a genuine growth in confidence in the housing market. This could well be because of an organisation such as the Help to Buy Scheme that has recently been launched. With the prices of properties being infinitely expensive, people may find it very difficult to save up a 20% deposit, following this problem the Government has taken sight and have now made it easier to obtain a mortgage through Help To Buy. This scheme is backed by the Government which can enable you to purchase a home with a deposit as low as 5%. This scheme is set to help those who could be purchasing their first home or even someone who is financially struggling to come up with a deposit for a second home so this strategy offers an alternative way in which things can be done. Can you see any improvements taking place regarding the previous economic crisis?